Boxi Park is an outdoor entertainment venue featuring repurposed shipping containers. As part of the collaboration, SG Blocks will design and prefabricate 14 containers, as well as work with a local contractor to install them. To be opened by the end of this year, Boxi Park will be equipped with a number of curated food and beverage options, as well as an outdoor stage, fenced dog park, beach volleyball courts and a recreational area for children. 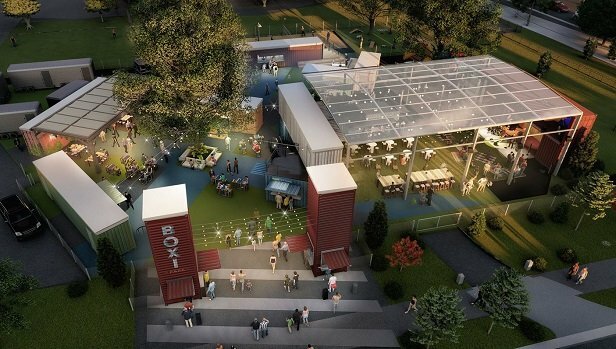 Each container of Boxi Park will feature different cuisines, two full-service bars, and a beer garden. The park’s temporary structure will be designed to enable its containers to be moved as the Lake Nona’s Town Center expands. The company is the developer of Lake Nona, one of the fastest growing communities in Orlando, Florida. Lake Nona includes a 17-square mile community that comprises several neighbourhoods, along with educational, sports, retail, entertainment, recreational and work facilities. Tavistock specialises in planning, design, finance, construction and development of new projects.